Pricing software products and SaaS offerings is always a difficult exercise. With high product development costs, but very low costs of goods sold, there are many different strategies that people have followed successfully (and not so successfully!) over time. Pricing hardware products is a bit simpler because there is generally a significant cost of goods sold that acts at least somewhat as a governor on market pricing behavior. But even with hardware, technology markets are dynamic and fast moving. 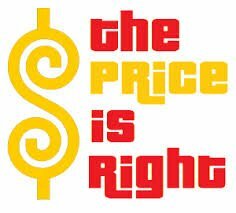 And pricing is a complex enough topic when all sales are going direct–once you bring channels into the picture, it only gets worse. Today we’ll focus on channel pricing strategies. What Are Optimal Channel Pricing Strategies? The biggest concern most companies have when pricing for multiple distribution channels is channel conflict. If it isn’t, it probably should be. I have seen many companies who actually AVOID selling through channels for fear of the pricing implications it brings. They are afraid of a channel undercutting their direct sales force in price and channel conflict in general, which arises as a result of different prices being presented to customers from representatives of different channels. But this doesn’t have to be so, with a savvy understanding of the implications of pricing actions. This comes from experience; “paying attention to what actually HAPPENS in the marketplace”. If you price properly and run your channel programs well, you can sell successfully via multiple channels–with all of those channels living in relative harmony. I’ve written about value-based pricing a number of times before in the context of the perceived value of a product – as seen by the end-user – being the guidepost for pricing actions. A similar concept exists for channel pricing strategies, specifically discounts. Rather than taking a simplistic approach and give the greatest discount to the channel players that move the most product ( a common but often destructive strategy–more on that later), it’s important to measure how much “value” a particular channel provides both to you and your end-user customers. Depending upon the particular channel you should evaluate things like 24/7 support, inventory & product availability, technical/customization expertise, credit services, and the like. It is often helpful to let the cost of delivery of each of these attributes be your guide to the value they provide. And don’t forget to include your own direct sales force as a “channel” in this exercise. For example, you may figure that the cost of a VAR providing 24/7 support to end users (meaning YOUR company doesn’t have to) is equal to 5% of the list price of the product. And the inventory held by a retailer (again, meaning YOUR company doesn’t have to hold it, at a cost) is equal to 2% of the list price. And so on and so forth. Using this value-based method, you can estimate the the actual costs borne by your partners in delivering marketplace value, and use this as a guide in building your channel discount schedules for various types of channel partners. This value-based channel pricing approach is not well-known and seldom considered; most people seem to figure the only value-add that is worth extra discount points is sales volume. If you use a value-based pricing approach, you actually have a chance to build a multi-channel strategy that “clicks on all cylinders” by providing discount structures that are equitable, based upon cost borne and value delivered by each channel partner type. If you choose the “more volume=greater discount approach, your multi-channel pricing strategy is a house of cards which will likely collapse around you. One channel will quickly grow to dominate and the other channel types will soon quit actively selling on your behalf, eventually withering away as a useful sales and marketing entity. Unfortunately, this is a common scenario CREATED in the marketplace by first-time vendors using the channel (and remarkably, a lot of experienced practitioners as well). Again, the key to multi-channel success is to not let one channel dominate. Ideally, you would like all channels to be presenting prices to the end customer that are roughly equal. In reality, that pretty much can’t happen without price fixing (which some folks may be able to get away with, but that’s another story…). But I maintain you should strive as much as possible to have end user pricing equity for all channels. However, this is where the counter-intuitive part of this discussion comes in to play. As discussed above, most tech product channel pricing strategies are usually based upon the volume of product a particular channel player can move. It seems very logical–why wouldn’t you want to incentivize and reward a partner with better margins, if they are selling more products? While this appears logical, it is actually penny-wise and pound-foolish. In fact, it is often catastrophic with respect to your plans to maximize sales through multiple channels. Let’s look at a simple case of how this often “breaks” a multi-channel strategy for a common case: a vendor selling through both retailers and VARs. Retailers provide a vendor with a point of purchase holding inventory, where their customers can go to immediately purchase a product. VARs often don’t hold much inventory, but provide other services important to the vendor and many end user customers, such as tech support, training, customization and integration with other software and hardware products. Both of these channels may have an important role to play in the overall strategy to maximize vendor sales to customers with different needss. But the retailer will usually be a high volume partner, with the individual VAR less likely to be a volume outlet (although the VAR CHANNEL in total, may hold greater promise to move volume). If you structure your pricing by volume, the retailer will get better discounts. Because individual VARs generally have higher costs spread over lower product volumes, they actually need HIGHER discounts to stay even or close in pricing potential vs. the Retailer. This situation is exacerbated by the fact that retailers tend to be volume-oriented, often accepting a relatively small, fixed margin applied blindly to everything they sell. If you provide discounts based upon the volume that a partner moves, what will happen is inevitable: The retailer will take over your channel business, because the VARs will be “squeezed out” by the relatively low prices charged by the retailer. They won’t be able to make a profit on your products, so they will ignore the business, and you will lose the opportunity to realize significant sales through the large (in aggregate) VAR channel, especially those customers that desire the service and support they supply. I am oversimplifying this situation, of course, because VARs are more interested in the service revenue that a product can pull than they are in product margins. But I have seen this scenario play out many times and kill product sales through a VAR channel that might otherwise generate healthy sales. This can be a heavy penalty for naive technology product managers, sales managers and senior executives who are charged with pricing their products and moving them through multiple channels – but who don’t fully realize the consequences of their actions. Pricing seems pretty simple on the surface — but it really isn’t and when channels are involved, it becomes anything but. It’s important to think through completely the downstream effects of your channel pricing policies when direct sales and/or multiple distribution channels are involved. Let me know if you have questions, or post a comment with your own preferred channel pricing strategies or stories that you’d like to share. Thanks for the information. Only the scenario you presented relates to physical products. I am not sure it applies as well to a SaaS product for which I am seeking channel partners for. I do however believe the value-based method could be suitable.